When it comes to creating a to-do list you can actually get done, it’s usually not the amount of time needed that makes things difficult. If you have a long to-do list and not very much time to get it done, the list can turn into a crippling task that can feel overwhelming. 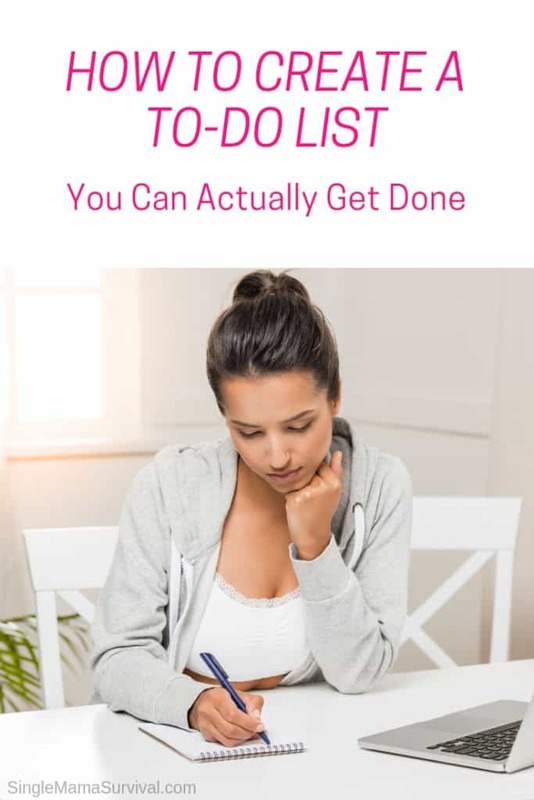 I’m going to teach you a few tips to help you craft a to-do list you can actually get done. When we make a to-do list, we tend to fill it with all the things we’d like to get done. If you are struggling to complete your lists, you might be putting too much crap on there! When you make your to-do list, start by prioritizing the items that need to be done that day. Make a secondary list of things you’d also like to get done. This way if you only complete the first list, the most important tasks were already taken care of. If your to-do list is constantly overflowing, it might be time to learn how to say no to people. Sometimes our lists are full of things we don’t want to do, and items that don’t need to be done. Take a look at your to-do list and see if any of those items meet these criteria. If you need to cancel plans to get the important things done, it might be something you have to do. If you have items on your to-do list, see if you can delegate any of those items to other people. It can be tempting to try to take on all the work ourselves to “get everything done,” when in reality, we end up getting less done. Ask your kids to help out with the easy stuff, and save your energy for the things that truly require your attention in order to get them done. Don’t be afraid to ask for help from friends and family sometimes too! You can’t do everything alone. The two-minute rule is that if it takes two minutes or less to do, do it now. When looking at your to-do list, start with those items first. Once you’ve exhausted all of those items, look for items that you can get started on in just two minutes. These two key tips are going to change the number of things you can get done, and challenge you to see how much you can do in just two minutes! It can get easy to get sucked into the first few tasks on your list. When you’re going through your list, be mindful of how much time you are spending on each activity. If you need to, set a timer for each task that way you have a little bit of pressure to get things done quickly. You don’t have to be a productivity expert in order to actually cross off your whole to-do list! Just follow these tips and you’ll have it done in no time.